Kinondoni Municipal is the largest of the three Municipals of Dar es salaam City with a population of about 2 million people; the Municipal is estimated to have more than 3000 stray dogs and feral cats with many colonies in old garages and areas around hotels and school dormitories where they scavenge to the rubbish pits to get their food. The stray dog and feral cat population has been increasing with time due to uncontrolled breeding. These animals have been hated by many people as they are implicated with killing and eating free range local chicks, the black ones have been associated with believes that they cause misfortune if seen around one’s house and majority are seen by people as causes of spread of the most feared disease, rabies. The community uses brutal methods of controlling their population like beating (clubbing) to death, suffocation, starving, poisoning with rodenticides incorporated in food baits, and other many cruel methods employed as feral cat population control and rabies control. 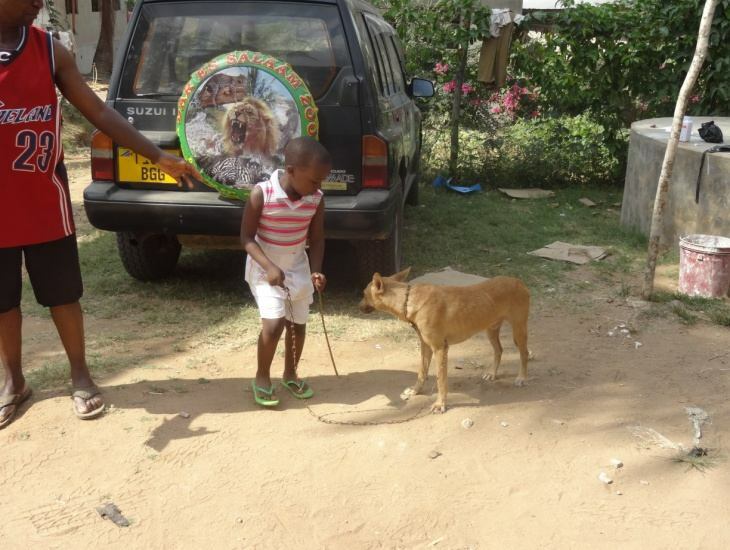 Cold Noses Funds Tanzania Welfare Organization in helping 1000 dogs and cats in Dar es Salaam City and by educating the public. Our funds will help control the population and help the stray dogs and feral cats through trapping, sterilization, vaccination against rabies and de-worming and release to their colonies and streets after recovery. Although the project focuses on stray dogs and feral cats, the homed ones will be sterilized as well and returned to their homes by the owners. Over a period of time the number of stray dogs and feral cats will be significantly reduced as no more litters will be added to the breeding colonies. 1361 dogs and cats we vaccinated against Rabies and dewormed during this wonderful event. 1086 animals were sterilized, and 57 were treated for wounds and clinical conditions. Some could not be sterilized due to illness, age, or conditions that would put them at high risk for death during surgery. Many of the animals treated were from poor families who were never able to get their animals veterinary care prior to this event. Many were also strays and re-released after being sterilized and ear tipped for identification. The hope is that the community will see a major decline in stray populations as well as Rabies- a disease that has caused so much fear in locals that they are culling animals and hurting animals.